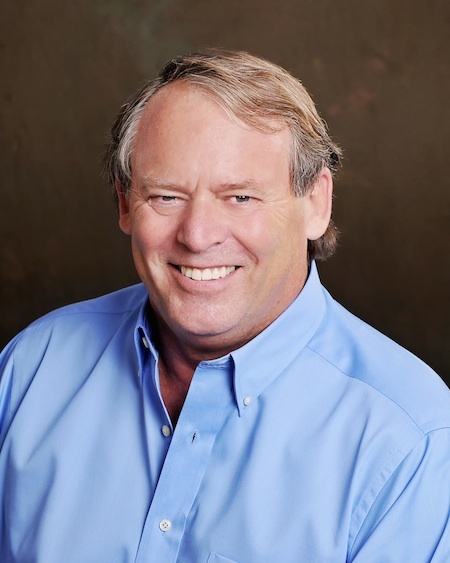 Rick Ingersoll to present the art of travel hacking at the Capital City Club. March 31, 2011 (Raleigh, NC) – Rick Ingersoll, better known as The Frugal Travel Guy for his popular blog, will share his tips and techniques for traveling frugally — and often completely free – at the Capital City Club in downtown Raleigh on Wednesday, April 6, from noon-1 p.m.
Ingersoll, the author of The Frugal Travel Guy Handbook, is an internationally recognized expert at amassing frequent flier miles, getting airline and hotel vouchers, and a host of other methods that have allow him and his wife to travel the globe for free, or nearly free, for years. A retired mortgage banker, Ingersoll began “travel hacking” as a hobby. The hobby quickly grew into a blog – frugaltravelguy.blogspot.com – that averages over 5000 views a day by readers throughout the United States and around the world. Ingersoll started the blog and speaking engagements to further his mission: to teach others how to do what he does so that they, too, can enjoy traveling for the rest of their lives. He’s especially interested in reaching people who think they can’t afford to travel. Chix In Business and Blueplate PR are hosting Ingersoll’s April 6th presentation. The event is free and open to the public, but seating is limited so space reservations should be made soon to: kim@blueplatenc.com. There is no charge for attendance although the Capital City Club is providing a buffet lunch in the dining room for $15 per person. Lunch will be served at noon with the presentation and Q&A to follow. Business attire is required. The Capital City Club is located at 411 Fayetteville Street, 21st floor, in downtown Raleigh. For more information on The Frugal Travel Guy, visit http://frugaltravelguy.blogspot.com or email his publicist, Kim Weiss, of Blueplate PR, at kim@blueplatenc.com. Rick Ingersoll is the author of The Frugal Travel Guy Blog, which is read around the world and averages 5000 views per day, and The Frugal Travel Guy Handbook. He is constantly on the lookout for the best credit card and debit card sign-up bonuses. He posts travel tips daily on debit and credit card deals and on other interesting promotions with the goal of reducing his readers’ travel costs today and for the rest of their lives. He is also available for seminars and speaking engagements. A retired mortgage banker, Ingersoll and his wife live in Hilton Head Island, SC, and Traverse City, MI, when they’re not traveling the globe. For more information, visit http://frugaltravelguy.blogspot.com.